The answer to such deep questions has traditionally been the province of religion, which excels at it. Every thinking person knows an insuperable mystery lies at the final square of the game board. So when we run out of explanations and causes that precede the previous cause, we say “God did it.” In all directions, the current scientific paradigm leads to insoluble enigmas, to ideas that are ultimately irrational. But since World Wars I and II there has been an unprecedented burst of discovery. Although still unbalanced by this sudden growth, our worldview will soon catch up with the facts, and the old physico-chemical paradigm will be replaced with a new biologically-based one that can address some of the core questions asked in every religion. Growing up during this period, I encountered the opposition to such new ways of thinking. As a boy, I lay awake at night and imagined my life as a scientist, peering at wonders through a microscope. But the reality was far from this dream. My school was separated into three classes of opportunity — A, B and C. I was placed in C-class, a repository for those destined for manual, trade labor. My best friend was in A-class — why him and not me? It was a challenge, especially after an exchange with his mother. “Do you think I could become a scientist?” I asked. “If I tried hard, could I be a doctor?” “Good gracious,” she responded, explaining that she’d never known anyone in the C class to became a doctor, but that I’d make an excellent carpenter or a plumber. The next day I decided to enter the science fair, which put me in direct competition with the A-class. My friend’s parents took him to museums and created an impressive display for his rocks. My project — animals — included souvenirs from my various excursions: insects, feathers, and bird eggs. It won me second place behind my friend’s project on rocks. Even in fifth grade I was convinced that life — not material and rocks — was the cornerstone of existence. It was a complete reversal of the natural scheme of things taught in our schoolbooks — that is, atoms and physics at the base of the world, followed by chemistry, and then biology and life. Science fairs were a way to show up those who labeled me for my family’s circumstances. Once, after my sister was suspended, the principal told my mother that she wasn’t fit to be a parent. By trying earnestly, I tried to improve my situation. I applied myself to an ambitious attempt to alter the genetic makeup of white chickens and make them black. My biology teacher said it was impossible; my chemistry teacher was blunter, saying, “Lanza, you’re going to hell.” Before the fair a friend predicted I’d win. “Ha-ha,” the whole class laughed. When I won, the principal had to congratulate my mother in front of the whole school. During my scientific career, I continued to encounter this kind of intolerance to new ideas. Can you clone a species using eggs from another? Can you generate stem cells without destroying embryos? Of course, scientists are no different from the rest of our species. We evolved in the forest roof to collect fruit and berries, so it shouldn’t come as any surprise that this skill set hasn’t served us well in understanding the nature of existence. We open our eyes, and things appear to be magically hovering “out there” in some invisible matrix. 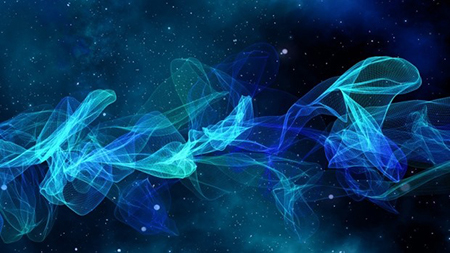 In the nineteenth century, scientists called it the “ether,” followed by the “spacetime” of Einstein, and then “string theory” with new dimensions blowing up in different realms. Indeed, unseen dimensions (up to a 100) are now envisioned everywhere, some curled up like soda straws at every point in space. When science tries to resolve its conflicts by adding and subtracting dimensions to the Universe like houses on a Monopoly board, we need to examine our dogmas. We believe an external world exists independent of the perceiving subject. Philosophers and physicists from Plato to Hawking have debated this idea. Niels Bohr, the great Nobel physicist, said, “Not so.” When we measure something, we’re forcing an undetermined, undefined world to assume an experimental value. We’re not “measuring” the world; we’re creating it. At the legendary debates, Einstein presented ingenious ideas supporting the idea of a “real world out there,” but Bohr shot them all down and gradually won over the physics community. But today most people still believe there’s a real world out there. 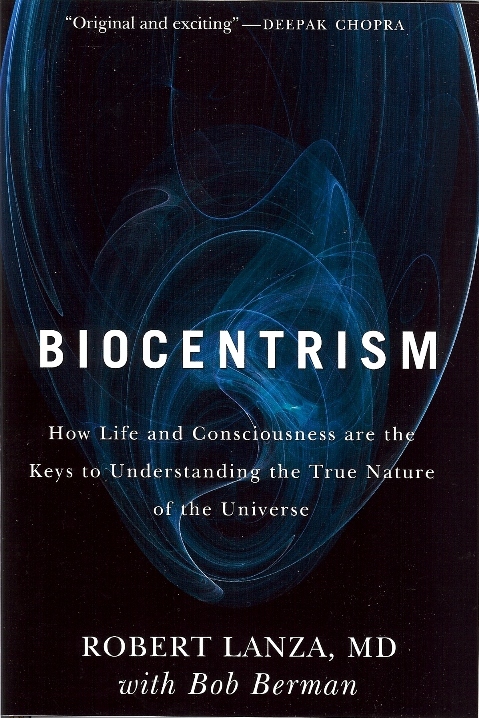 This something-nothingness issue is ancient, and of course predates biocentrism, which explains why one view and not the other must be correct. Take the seemingly undeniable logic that your kitchen is always there, its contents assuming its familiar forms whether or not you’re in it. At night you leave for the bedroom. Of course the kitchen is still there, unseen, all through the night. Right? But consider: the refrigerator, stove and everything else are composed of a shimmering swarm of matter/energy. 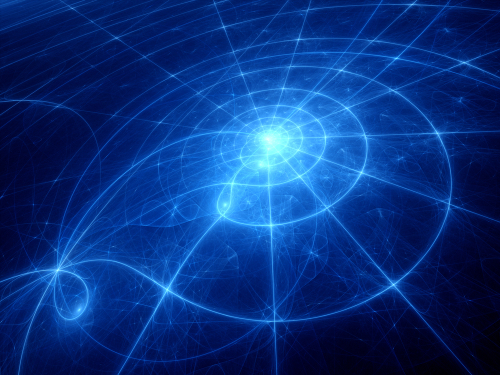 Quantum theory, tells us not a single one of those particles actually exists in a definite place. Rather, like Bohr said, they merely exist as a range of probabilities that are unmanifest. In the presence of an observer — that is, when you go back in to get a drink of water — each one’s wave function collapses and it assumes an actual position, a physical reality. According to the “many-worlds” interpretation of quantum physics, there are an infinite number of universes — known as the multiverse — associated with each possible observation. 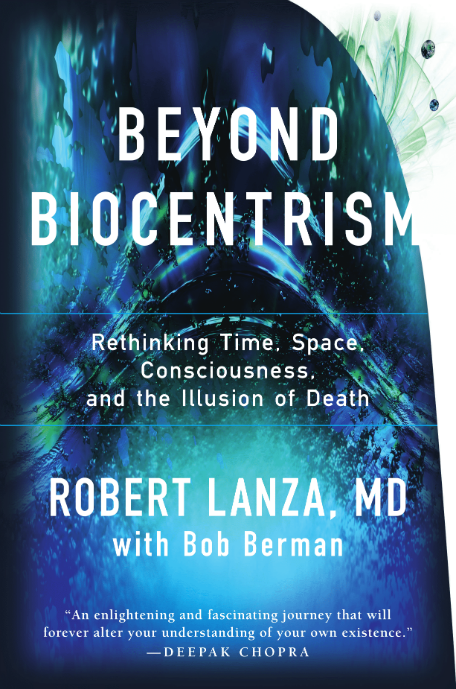 Biocentrism extends this idea, suggesting that life has a non-linear dimensionality that encompasses the multiverse. Experiments show that measurements an observer makes can even influence events that have already happened in the past. Regardless of the choice you make, it’ll be you (the observer) who experience the outcomes and histories that result. Ideally, our concepts of nature and God should adapt to this evolving scientific knowledge. What happened before the Big Bang? Or if God made the world, then who made God? According to biocentrism, these are ultimately irrational questions, because space and time are simply tools of our understanding and don’t exist in any absolute sense. Before and after are relative concepts tied to us, which includes the totality of existence in the multiverse. Imagine what might be possible, especially if we’re able to recreate information systems to generate any consciousness-based reality fathomable. “One thing I have learned in a long life,” said Einstein, “[is] that all our science, measured against reality, is primitive and childlike — and yet it is the most precious thing we have.” Science, like religion, must work with simple concepts the human mind can comprehend. But if biocentrism is right, nature has much bigger plans for us than just this or that life — plans far beyond anything religion has ever projected to any God. And perhaps, if science is clever enough to see, it will realize that religion may not be too far off with its concrete imagery; and that relative to the supreme creator, we humans are much like the microorganisms we scrutinize under the microscope.